Get general parasite control in rotational deworming that is safe for even foals and pregnant mares. Has a great apple-cinnamon taste and comes in an easy to use oral syringe. Effective against pinworms, large strongyles, small strongyles, and ascarids. 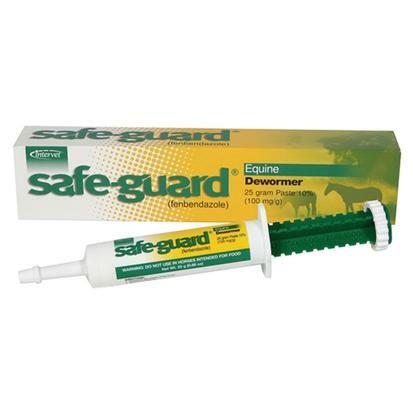 Safe-guard is a 10% fenbendazole paste formula in a 25 gram paste tube. 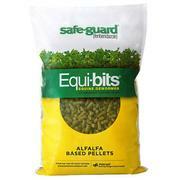 Equine de-wormer that is an alfalfa-based pellet that allows you to feed and deworm in one single step. Uses 0.5% fenbendazole as an active ingredient. Is safe to use for almost all horses, including pregnant mares and foals. For use in the control of large strongyles, small strongyles, pinworms and ascarids. The Panacur Powerpac contains five, 57 gram syringes of Panacur. Administer one tube a day for five days for complete treatment for a 1250 pound horse. 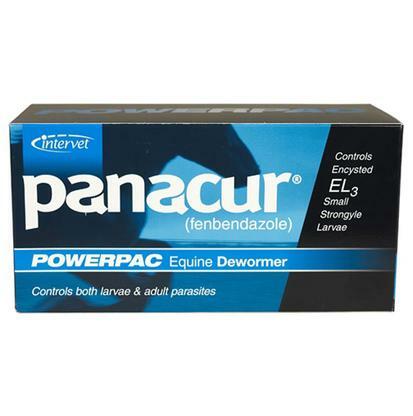 The Panacur Powerpac's active ingredient is fenbendazole highly effective at removing large strongyles, small strongyles, pinworms, and ascarids or round worms. Recommended for use if you get a new horse or twice a year. 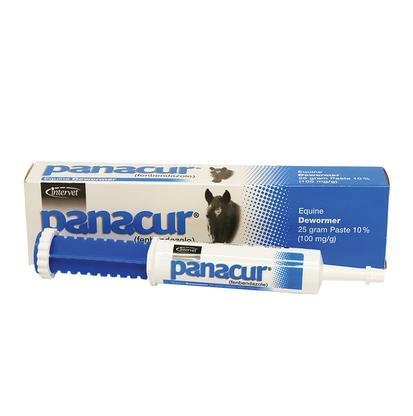 Panacur effectively deworm your horses and ponies of large and small strongyles, pinworms and ascarids.